Looking for a strong, safe, stable, seaworthy catamaran for the family or mates to take on extended trips? Find a nasty ocean bar anywhere along the Australian coast and chances are there'll be a NOOSA CAT standing by, either in the hands of various police and rescue groups or serious commercial and recreational 'fishos' and divers and this one is no different. New Suzuki Four Stroke Engines added 2005 - capable of pushing this boat through the water at speeds up to 30 knots and using an economical 40lph at cruise speed of 22 knots. Electronics include GPS, radar, sounder, auto pilot, SSB & VHF radios, air-conditioning, inverter, generator and charger. This Noosa Cat is safe and spacious, and her sea handling abilities are renowned. Designed for off-shore fisherman or extended family trips. With two double cabins forward, she can sleep up to 6. Extensive upgraded aelectronics fitted to the lower helm. The galley is well equipped with Fisher& Paykel fridge/freezer and the saloon port side has plenty of room for family or friends. 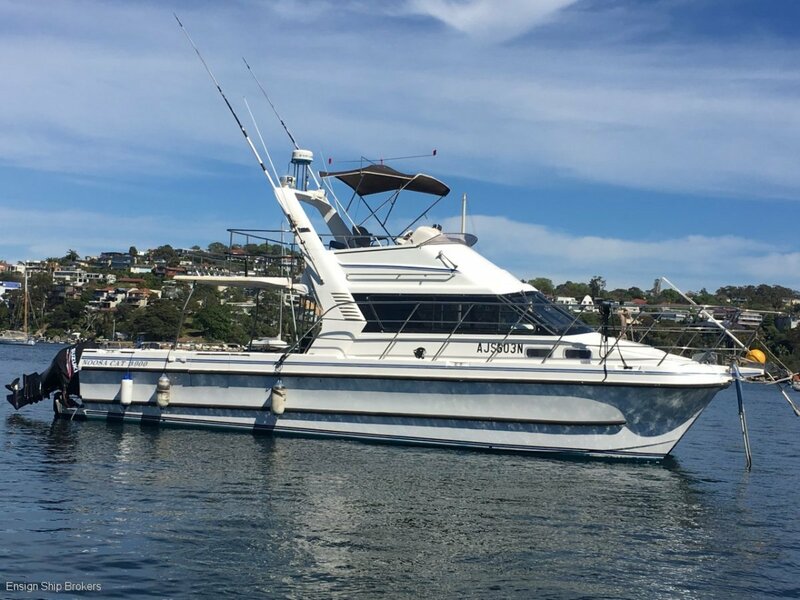 The large back deck has recently been painted with non-slip paint which creates an ideal fishing platform and is well equipped with a sturdy cover. The flybridge has duplicate electronics and controls for easy operation.